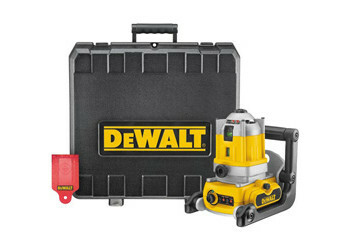 Dewalt Heavy-Duty Rotary Laser Kit - DW071K. Manual leveling system is accurate to ±1/4" per 100 foot. Laser can be oriented level or plumb for all common applications.